A Thing for Roses: Busy Bee Me! Today I got up and got straight to work. Made this shopping cart liner for a shopping cart I bought at an estate sale not too long ago. I love this cart as it is an older one and has cool teal green wheels. Whenever I find a cart with colored wheels, I always try to match the fabric I use for the liner with the color of the wheels. I have used this fabric before on another cart, but had quite a bit left over and thought the color was perfect for this cart. 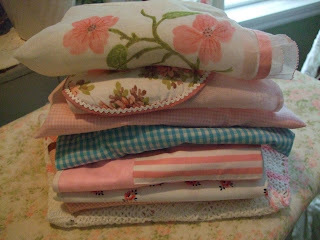 After finishing the cart I decided I had just enough time to do a little ironing before my lunch date (more on that later), so I decided to iron these sweet vintage aprons to take to Farm Chicks. I have a few more to add to the pile, but they need a little tlc (oxy soak) before they can join the party. After I got home I decided to tackle the mess that was a shopping cart liner gone wrong. I worked on this one at Joy's last week and I either measured wrong or cut it out wrong, but it just didn't work. So I took it apart, cut a new piece for the inside front, sewed it back together and voila. Not too shabby! It looks better on the outside. It's a little baggy on the inside, but hopefully whoever buys it won't mind. I really wanted this one to work for this cart as it has orange wheels and this was the only fabric I had that had orange in it. There I go again with my matchy, matchyness. I dug into my stash and found this sweet little rose fabric I bought in Paris two years ago to use for the ties. Again, trying my best to use my best stuff and not just hoard it. This is another really old cart and unlike the others, it doesn't fold up. I sold another similar one awhile back that I had made a quilted liner for. So, two shopping carts, a little ironing, lunch with my good friend. Not a bad day at all. 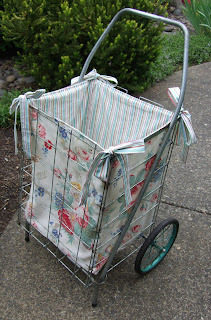 I am, however, thinking of changing my blog name from "A Thing for Roses" to "A Thing for Shopping Cart Liners." Just kidding! Your cart is beautiful...you did a great job! Hey, I actually found an old cart for myself while I was out thrifting this week. I was beyond thrilled! I can't wait to use it while shopping at the Rose Bowl in June. You have once again inspired me to find something so cool! Have a fantastic holiday weekend!!! I just love seeing all the sweet little carts. I am having a give away on Monday, stop by. I love the old carts with the bight colored wheels, and your liners make them extra special....shopping in true vintage style. I love that cart...you're the only one I've ever seen do these...I like it! 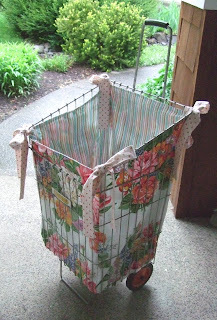 I will be making my cart liner later this weekend - ready for Farm Chicks! Have to have something to lug all the treasures in! I also just posted my first giveaway! Tell me what you think. Have a great holiday weekend, M.
I have never run across a shopping basket like yours! That liner is too cute. 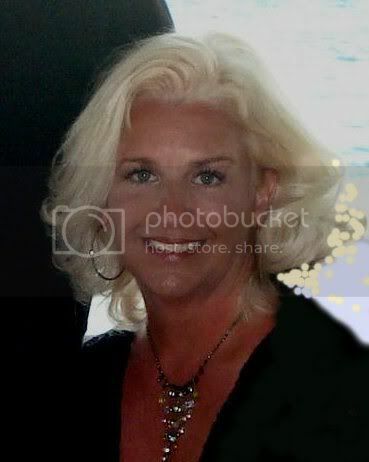 I'm approaching 27 years out of school...you guys are looking great! Do you sell the cart liners...?they are prescious! What wonderful shopping cart liners! 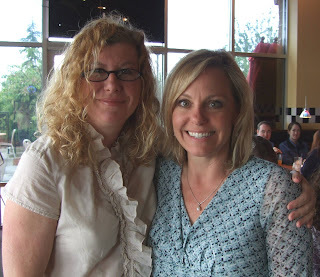 Perfect for flea marketing..
How fun to reconnect with your high school pal! You guys look great..
Good idea for my cart! Very cute, I love it. It would be great for books. I love those little shopping carts. What a great idea to line them like that. It's great when "environmentally friendly" and "cute" go together. I wish I was finding as many carts as you seem to be. I've been finding fewer and fewer and they've been getting more and more expensive when I do. Your liners look great! I'm so glad you reconnected with your old friend! I agree there is nothing like old friends! Very productive day for you. Love those little fabric covered carts. 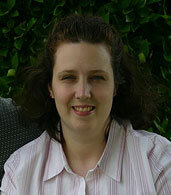 I LOVE, LOVE, LOVE your blog and I am so happy I happend upon it. You are sooooo talented and I love all your finds. I will be sure to visit often. Blessings. That is so adorable! Nice work! I love your cart & the liner. I saw a couple in Canton this weekend. (not for sale, but individuals pushing them around to carry all of their good). do you sale the liners? Adore the shopping cart; never seen anything like it here in Michigan.